Wow! 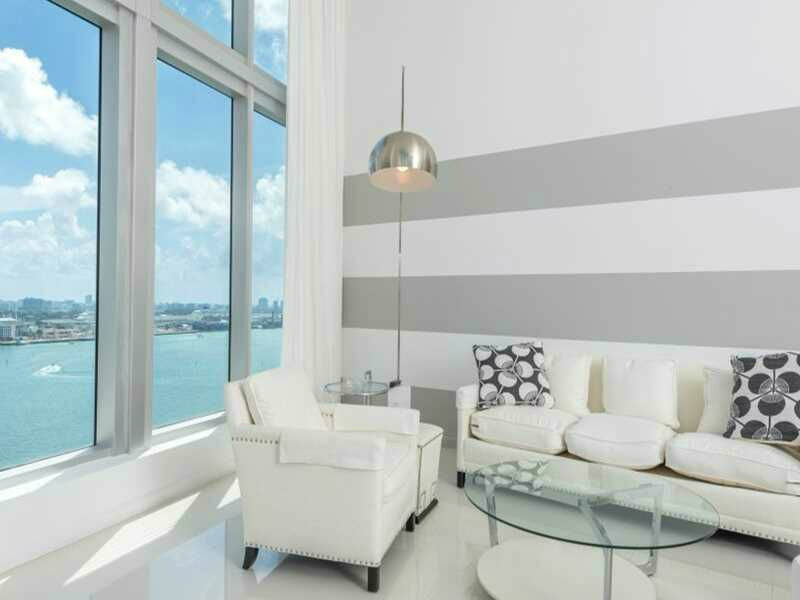 Enter this high ceiling corner unit with best ocean, bay & city views. This residence will leave you breathless. 1/4 mil dollars spent in upgrades. All done by the finest craftsmen to complete a work of art. Finest finishes include marble floors, medallion design in entry foyer, European kitchen, Italian cabinetry, custom window treatments & lighting. 3rd bedroom opened for oversized living area but easily put back w/ owner credit, hurricane shutters, +2 parking spaces. Stunning décor + shows like a model! Upper towersuite directly on the ocean! 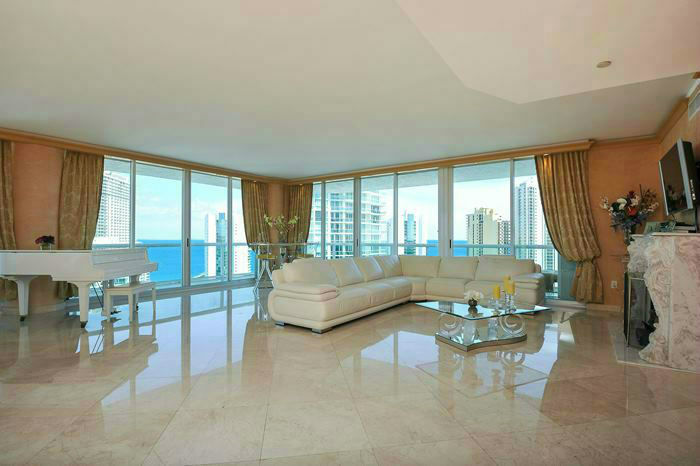 5 * boutique building - Millennium in fabulous Sunny Isles Beach. 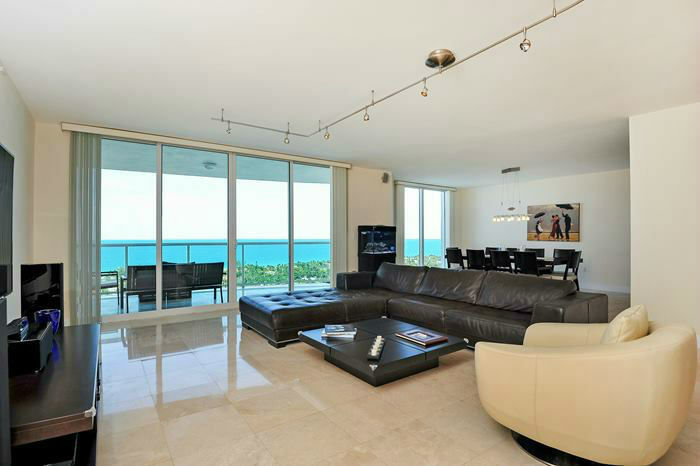 Enter through private elevator + immediately see the best views of direct ocean one side & intracoastal on the other. This extraordinary residence has many upgrades: wood floors, custom lighting & more. Spacious, light, bright with floor to ceilings glass windows, 2 balconies, 2 bedroom + den or third bedroom. 2 1/2 baths + gourmet top of the line kitchen. Wow! 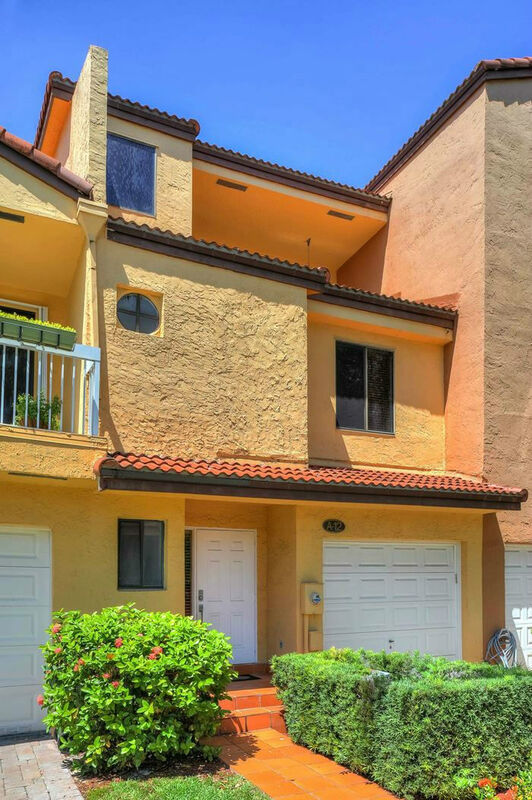 A spectacular 4 bedroom townhome in fabulous waterways in Aventura upgrades & finishes include a redone open custom gourmet kitchen with granite counters, new appliances, vaulted ceilings skylight over stairs, beautiful Italian tile & wood floors. A huge master suite with large baths, closets & balconies lots of closets throughout, separate utility room, private patio and so much more! A fantastic spacious home! Next to park, great schools, houses of worship, minutes from Aventura mall, Turnberry golfcourse. 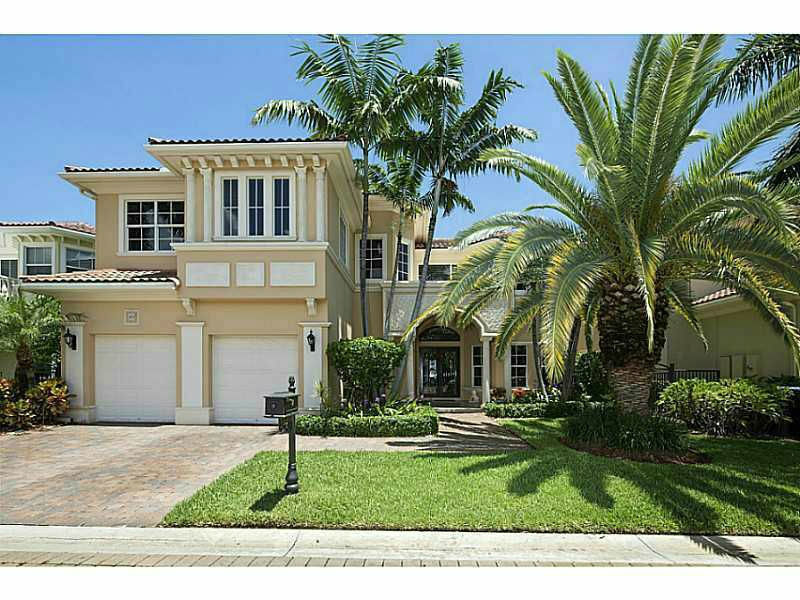 Stunning intercoastal wide waterfront two story estate with open bay access. Finest finishes include marble floors throughout floor to ceiling windows, soaring ceilings & a chef's kitchen with new viking appliances make this a great residence for entertaining! Master suite with private balcony. Extravagant backyard with heated pool & spa. No details overlooked & no expense spared. Boater's paradise with easy ocean access, no fixed bridges & private deeded 65" dock with a boat lift. Spectactular family home & neighborhood! Wow! Enter through private elevator foyer & immediately throughout see best views in town never to be obstructed of ocean over golden beach, intracoastal & city. This spacious flow through plan offers direct golf & lake views. Live large! 3264 sf & 2 large terraces, 3 beds + media room or 4th bed , 3.5 bath. New in 2004 & upgraded with finest finishes: marble floors throughout, custom bar, custom closets, window treatments, large state of the art gourmet kitchen with granite, top of the line steel appliances, subzero. Light, bright & clean! Recently published in Florida design's- Miami home & decor magazine. Located in exclusive Williams Island. Timeless modern design, panoramic waterfront vistas & spectacular sunsets. Well known New York architect & designer have entirely redesigned and renovated this huge 4100 sqft gem. Artisans + craftsmen have completed a work of art with the finest furnishings & finishes roche bobois, almilmo custom kit with subzero/ wolf. Expansive wrap around terraces and gourmet State of the Art kitchen. Being sold turnkey. Rarely available & truly one-of-a-kind designer unit boasting 20 ft. Ceilings throughout. 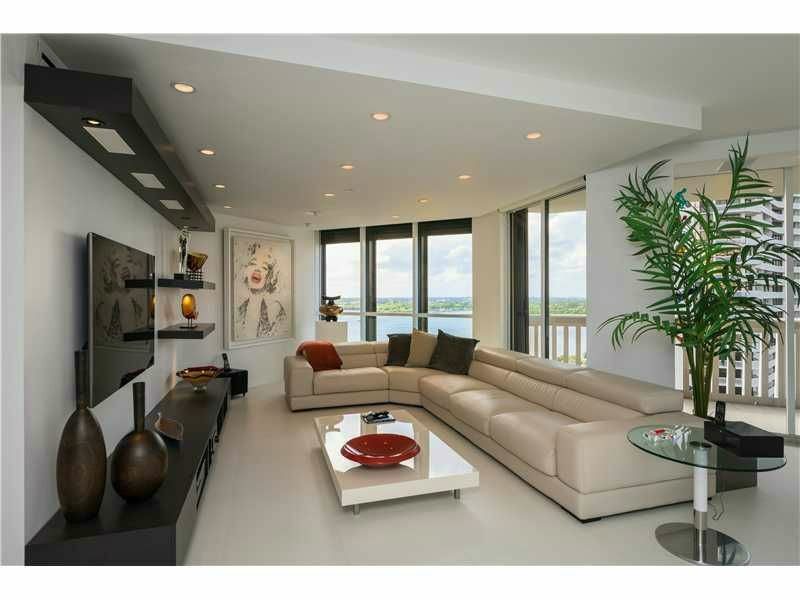 White porcelain tile floors, split floor plan, sunrise & sunset views from every room & over-sized terrace. Vacant and ready to move in today! Luxurious marble baths with over-sized jacuzzi tub. Top of the line applicances and finishes throughout. Bay, city, ocean views from floor to ceiling windows. Live at the best address in brickell with resturaunts, brickell city center, and nightlife & more!! Corner wraparound with breathtaking water views! 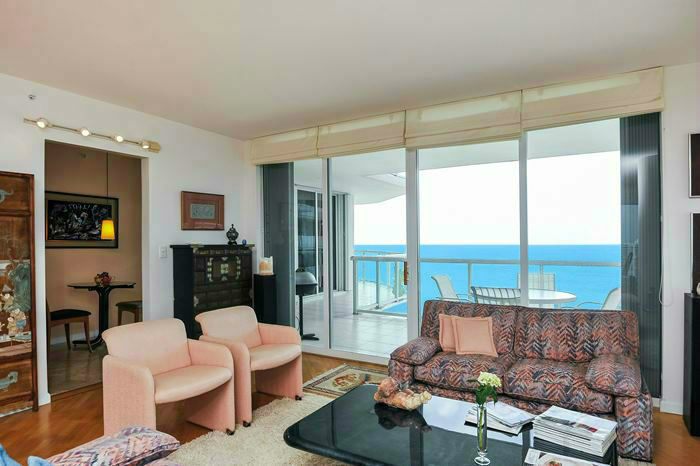 Directly east with exquisite panormaic intracoastal views. Best tower sits right on the waters edge like being on a boat! Spacious floor plan & in pristine condition being sold turn key. Large walk in closets & tons of natural light. Great amenities include marina, boat slips, coffee shop, 2 pools, tennis, gym, private shuttle, guard gate, concierge, security, wonderful lifestyle! Gated magnificent mansion in fabulous community of estates. New & never lived in sprawling estate on 1 level with volume ceilings throughout. Artisans and craftsmen have created a work of art with the finest finishes. Custom hardwood doors, impact glass windows, marble floors throughout. State of the art gourmet kitchen with viking appliances, built-ins, lavish wet bar, sound system, italian cabinetry. Fab floor plan, all ensuites - huge master, stunning pool, patio, and jacuzzi.